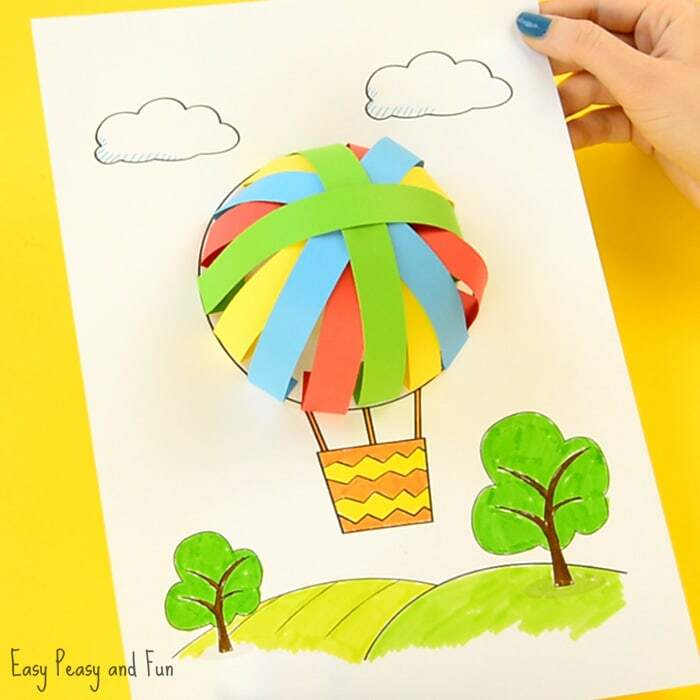 We have the most adorable hot air balloon paper craft idea to share with you today, and it comes with a printable template you can use (if you wish). 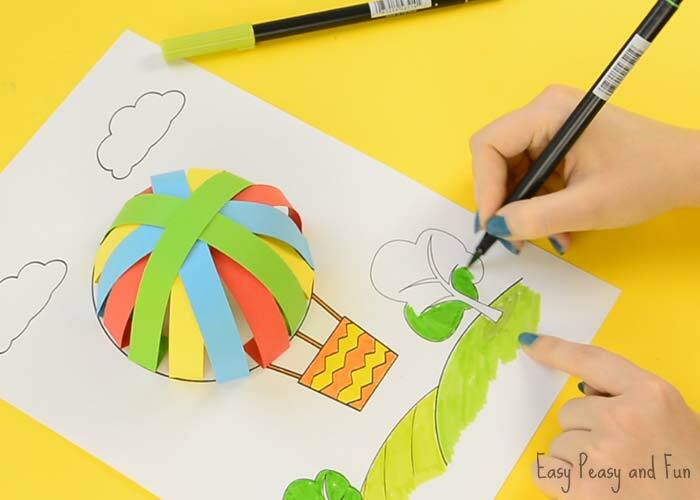 Simple paper crafts for kids (and kids at heart) are out favorite to do as we always have some colorful paper just laying around. 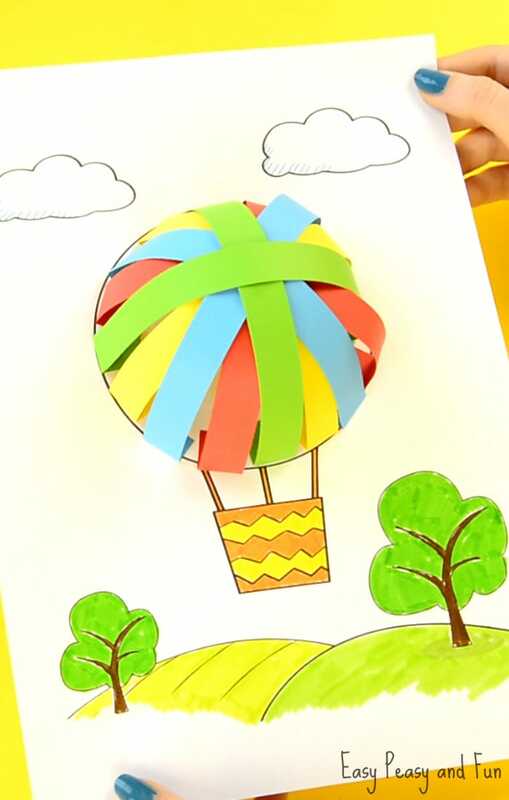 This is our first hot air balloon craft idea we ever shared but we do love how fun it was to make and how colorful it turned out, so we are pretty sure we will be sharing more with you soon. 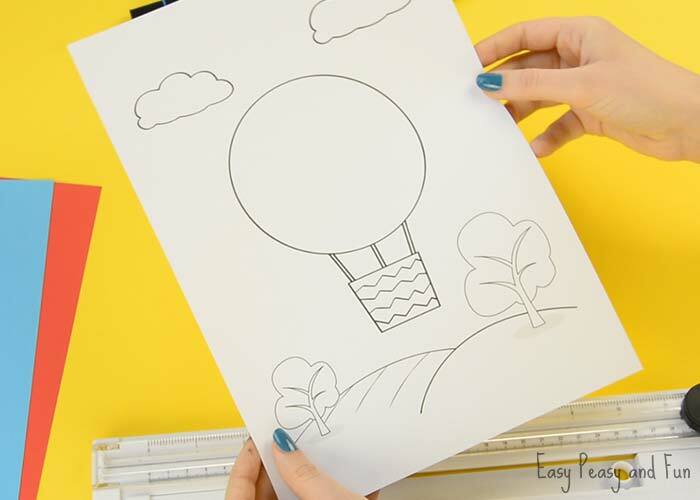 You can use our printable template for this crafty project or just have the kids draw their own balloons to unleash their creativity. 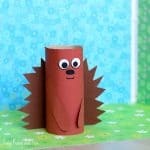 This idea will work out nicely as classroom crafty project (preschoolers, kindergarten and higher grades), you just need to adjust some steps to fit the age group of kids. 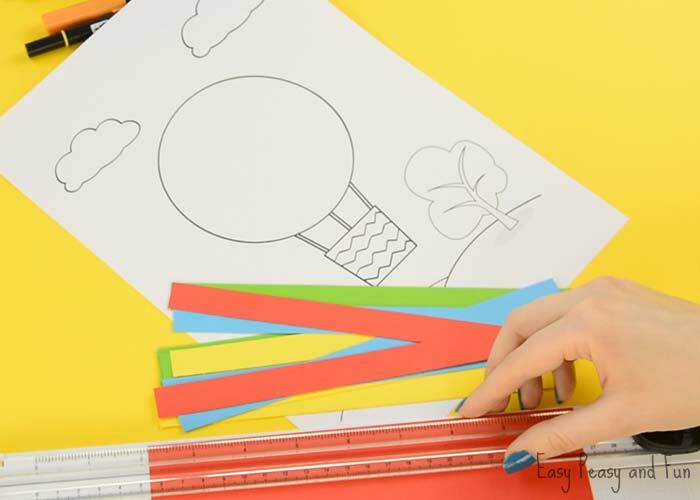 colored pencils, crayons, markers (we colored the template at the end of our tutorial but when working with younger kids we suggest you first have them color the template). Start by printing out our template (located at the end of these instructions). We recommend you color the template first. 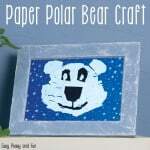 Cut strips of papers – we used the paper cutter as it works out faster (perfct for teachers if you will do the cutting). Scissors can be used to. 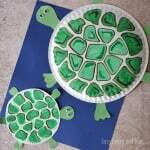 We used 4 different colors – 2 strips of paper in each color (8 together). Fold the strips on both ends as shown on the image above. 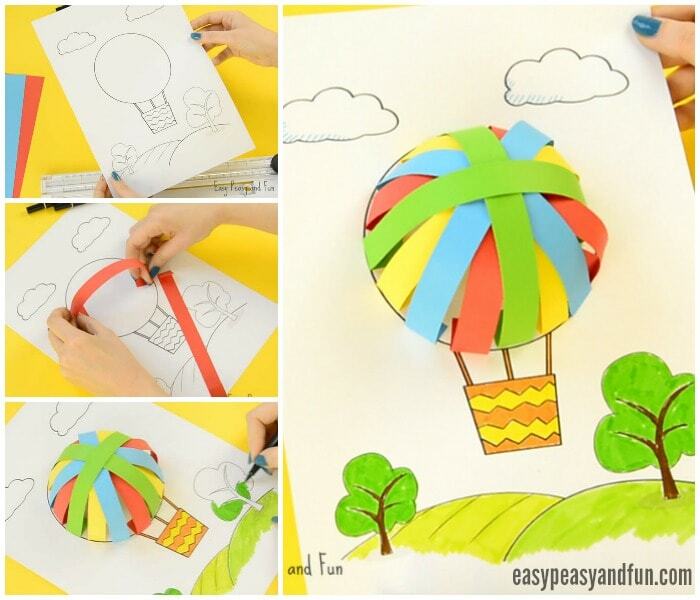 Glue the strips inside the balloon circle. We started with two red ones. Glue one on the template and the next one at a 90° angle (making a cross). Continue by gluing the next strip in between the “red ones”…. Continue until you get a “dome”. 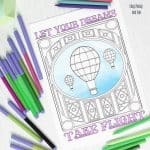 Now that your hot air balloon craft is done, all there is left to do is to color the scenery. Happy coloring! I wish to have the template. Can you please email it to me or publish it so that i can print it? Hi! The template is available withing the article with step by step instructions. Hey! We had some technical issues that should now be resolved (clearing cache and refreshing should do the trick). What is the length and width of the stripsand how much to fold under on each end? Hi! If you cut a letter sheet or a A4 sheet across it’s width (shorter side) it will work out nicely. The fold under each end doesn’t need to be exact – anywhere from 1 finger to 2 fingers (placed on the paper for measurement) will be OK (it it’s more or less the craft will still work). I found that 3/4 inch strips worked perfectly, cutting on the width, like Andrea said. I used construction paper.